David Chiarelli - Latest Edition! : Why Do We Need A Teacher Union? Who wrote this article? There is no name attached to it and they forgot to mention the unilaterally imposed MOU of July 2012 wherin OECTA provincial sold us out. How do they explain the local units' complicity with that event where teachers were not even allowed to vote on essential what was their contract! Thanks for participating. As to your comment: This is my blogsite. I write the blogs here unless they are identified accordingly. Check the header on the top of the page for more information. You are looking at an archive page from when I was on my local executive in 2011. The blog archive is located below this column. 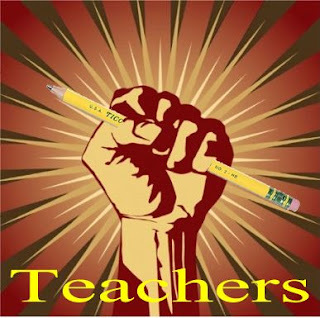 If you read the blogs since the July 5 OECTA MOU you will see that most of the readers and writers here as well as myself hardly agree with what our leaders have done. Still, we need a union, and this is why, just not ones that also screw us around and sell us out.